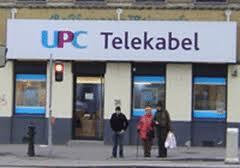 The definitive early announcement post on Case C-314 UPC TELEKABEL WEIN has already been hoisted proudly on to the IPKat weblog by Eleonora, here, so what follows is just a sawn-off version, both for the record and so that anyone searching the 1709 Blog's database of 1,140+ items will see that we haven't missed it. "1. Is Article 8(3) of the [InfoSoc] Directive [2001/29] to be interpreted as meaning that a person who makes protected subject matter available on the internet without the right holder’s consent is using the services of the access providers of persons seeking access to that protected subject matter? 2. If the answer to the first question is in the negative, are reproduction for private use and transient and incident reproduction permissible only if the original reproduction was lawfully reproduced, distributed or made available to the public? 3. If the answer to the first and second question is in the affirmative, and an injunction is therefore to be issued against the user’s access provider in accordance with Article 8(3) of the Directive, is this compatible with Union law, in particular with the necessary balance between the parties’ fundamental rights? 4. If the answer to the third question is in the negative, is it compatible with Union law to require an access provider to take specific measures to make it more difficult for its customers to access a website containing material made available unlawfully if those measures require not considerable costs and can easily be circumvented without any special technical knowledge?". Eleonora has called on Austrian readers of the IPKat to post some background information relating to the underlying litigation; at the time of posting of this blog, however, it appears that no public-spirited Austrian has responded to her call. Meanwhile, this post reminds readers that the UK's Intellectual Property Office invites comments that will determine whether any British lawyers have the joy of being commissioned to present the UK government's position -- should it have one -- to the CJEU. If you'd like to submit your thoughts or observations to the UK government, you should email Policy here by not later than 7 September of this year. What is odd about this case (well at last one of the odd things) is that the authorities appear to have acted against the site directly and those responsible prosecuted (and imprisoned. While that is not necessarily the end of the story (cf Newzbin) the domain name of the site itself appears to have been appropriated by the authorities. Which makes one wonder: is there now any reason to block the site and, if not, what is the point of the reference? Francis - the reference was made by an Austrian court.